Invariably, we encounter clients who think that PageRank, or Domain Authority, should be treated as the north star of link building. True, there’s value in measuring and assessing these two metrics before chasing a link, but it certainly shouldn’t be concern numero uno. 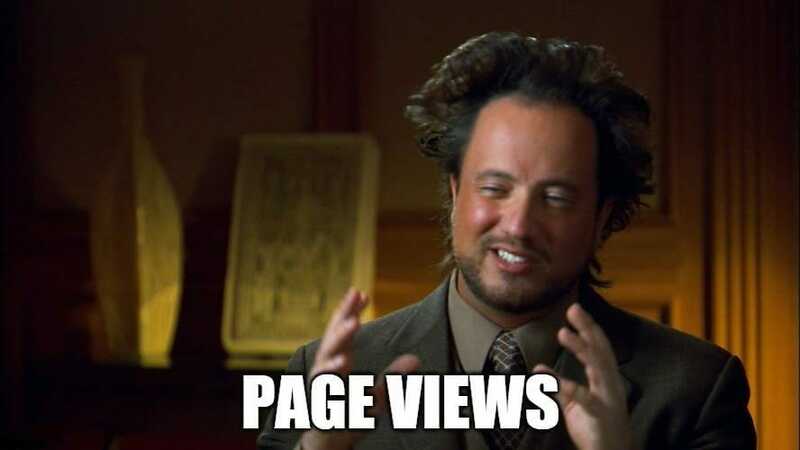 There have been plenty of articles, posts, and even rants about why PageRank is a lousy metric to chase. And they do a remarkably great job breaking down the issues and faults with a PR centric view. Domain Authority, the metric from Moz, is better, but still relies on the same approach – perceived authority through an algorithm. True, it updates faster, reports more detailed information, and I trust it more than the PR toolbar, but still I don’t believe it’s the metric we should be chasing. And yet monthly we have clients requesting we use a PR/DA first approach. Client education is naturally part of the job, and since we’ve had the conversation so many times I thought I’d share our thoughts on focusing too intensely on PR or DA. Does that mean we ignore PR/DA completely in our link building efforts? Absolutely not. But it isn’t, and shouldn’t be, the first measure of success. In fact, when we’re judging link quality here at Page One Power, the DA/PR only accounts for 15% of the overall value we assign to a link. 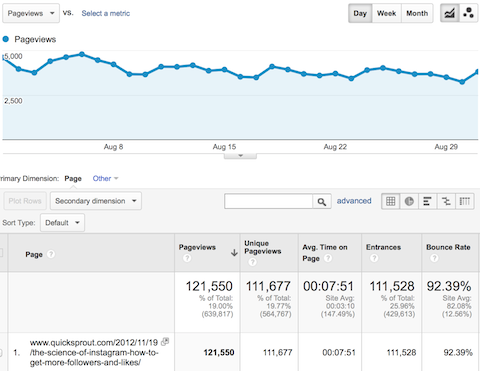 So, what is the first metric we judge when building links? Simple: relevance. Relevance is far and away the most important metric to measure when beginning a link building campaign. But what is relevance? How can we even begin to determine whether something is ‘relevant’ to our client’s site? Relevance is definitely hard to attach a specific value to, on a scale from 1-10. How relevant is something? How do you qualify completely relevant, mostly relevant, somewhat relevant, and irrelevant? We never even consider going after a site we consider to be irrelevant. To measure page relevance, we look at a variety of on-page metrics. What’s the title of the page? What’s the URL? What about the content on the page? Again, we give a sliding 1-3 rating based upon the same concept, and we’ll never attempt to secure a link on a page that we decide is irrelevant. Link relevance is how the link points to our website from the target website. For example, does the link make logical sense? Is the link relevant to the content it’s surrounded by? Is the anchor text relevant to both the target page and ours? Is the placement on the target page relevant? We don’t rate link relevance – we always make sure we’re linking in a relevant, helpful manner, or we do not pursue the link. So, now that relevance has been defined, let’s take a look at our four reasons for pursuing relevance. As link builders and online marketers, we want anything we do to have lasting value. There’s real responsibility in working with clients and building links, and that responsibility requires the understanding that we’re representing another company’s business, brand, and often livelihood. This isn’t something to be taken lightly. Therefore we should all strive to create future-proof, natural links. Links that are wholly relevant, make contextual sense, and that users actually choose to click on. We work hard to only create relevant links on sites that make sense, linking in an intelligent manner. This helps minimize our Google footprint, ensures we’re working effectively for our client, and that everything we do provides lasting value. And lasting value is one of the bestselling points of SEO. Creating a cumulative positive effect not just for today, tomorrow, the next month, but for years is something we as SEOs should take pride in. Very few avenues of marketing can claim such a lasting impact. Creating relevant links is very much a part of that lasting value, guaranteed to continue to move the needle. Google has stated over and over and over again that they want to reward those who create great user experiences. Unfortunately, SEO and link building has been tarnished with a reputation of manipulation, muddying the search results, and overall poor user experiences. And it’s no wonder – our history is full of spammy tactics such as cloaking, article marketing, blog comment spam, and spun articles. I can honestly say I’ve seen some links that even I was offended by. I once saw a blog comment with a link to a third party vender of military boots that was clearly spam. What made it so horribly offensive is that it was perched in the middle of an obituary, between loving comments left by friends and family of the deceased. Despicable. Today we’re in the best spot we’ve ever been as an industry. We’re more focused than ever on creating great content, natural links, and helpful user experiences. By continuing to focus on relevancy first, we can ensure that we continue to create experiences that users actually appreciate. Although we used relevance as our guiding principle since the founding of Page One Power, it’s always nice to have confirmation. Relevance simply makes sense when pursuing link building. That a link from a high PR site was always valuable (as it once was) never made much sense – Google was bound to learn and grow beyond such systems. One thing we can be certain of in this uncertain industry: the continual sophistication and improvement of Google’s algorithms. Google can now ferret out relevance – or lack thereof – for even broad topic websites such as newspapers, entertainment, or even humor. So although relevance always made common sense, and landing a relevant link from a large site like the NY Times will always be a huge win, you absolutely shouldn’t be pursuing a link simply for the DA/PR of the site. As link builders much of what we do centers around driving meaningful traffic to our clients site. Albeit most of this traffic is a result of ranking improvements as opposed to direct traffic, the opportunity for direct traffic is certainly not something we ignore. If the answer is yes, then odds are you’ve just created a relevant, natural link that has the potential to drive traffic. Creating good, relevant, natural links is the only way to drive traffic directly through a link. No user is ever going to follow an irrelevant resource link from a website selling dog beds to a website selling computer supplies. There’s never a guarantee that a link will drive traffic on its own, but it’s always a great win when it does. Relevance should be the first metric used in link building. PageRank and Domain Authority should still be considered, but only as secondary – or even tertiary – factors. If you solely chase PR or DA, you’ll be missing out on important opportunities. The PageRank toolbar, and even Domain Authority—which is faster to update and generally more reliable—absolutely shouldn’t be the first metric in link building. To determine relevance, look to the relevance of the domain, the target page, and the link. Pretend you’re operating in a world without Google, and you’ll be creating great links that make sense. Relevance should always be the first and foremost concern, and guides our link building principles at Page One Power, helping us build future-proof links that provide lasting value to our clients. But what happens when you combine them? They complement each other, right? That’s why peanut butter and jelly sandwiches are so common…the flavors just go so well together. The sandwich is so popular that you are likely to eat 2,500 of them by the time you are 18. If you are trying to grow your qualified search traffic, you have to combine your content marketing with your SEO efforts. Running them as separate campaigns isn’t going to provide you with as big of a traffic increase as combining them into one campaign will. And for you, large companies, this means you may have to restructure your organization so that content marketing and SEO are in one department. Download this cheat sheet to learn 7 smart ways to combine content marketing with SEO for more qualified search traffic. One of the best sources of relevant traffic is Wikipedia. It ranks for almost every search term on Google, and it’s one of the most popular sites on the web. I didn’t realize the power of Wikipedia until I listened in on a marketing presentation byComedy Central. They were discussing how they grew their traffic, mentioning that Wikipedia is a key part of their traffic acquisition. How much traffic are they generating from Wikipedia? Over 100,000 visitors a month! That’s insane! What’s even more interesting is that they noticed that the pages with links from Wikipedia tend to generate more backlinks from other sites as well. So, how can you get more links from Wikipedia? Well, the easiest way to do it is through Wikipedia broken-link building. Next, click on a search result and find the phrase “dead link” on the page. You can then take that URL, put it into Archive.org and create a similar page on your site, assuming it is related to your business and your visitors would find value in the content. Once you have created a similar page, you can go back to the Wikipedia entry and click the “edit” button on the top right. If you want to get really advanced, take the URL of the broken link and place that URL intoAhrefs to get a full list of sites that are linking to the dead page. You can then hit each of them up, asking them to replace the dead link with the link to your site. If you want to get the most out of this strategy, focus on creating pages that are highly relevant from a keyword and visitor perspective. It’s easy to get greedy with broken-link building, but the last thing you want to do is put up a hundred irrelevant pages just to get extra links. You shouldn’t be blogging for the sake of it. You should be blogging based on what your visitors want to read as well as what keywords you want to target. It doesn’t matter that most of your search data is “not provided”. You can actually figure out what keywords are driving you traffic by using data from these 3 Google Analytics reports. Once you have a list of keywords you are targeting, you can write content around them, assuming the topics also benefit your visitors. I’ve used this strategy myself on Quick Sprout. Analytics showed that Instagram-related keywords produced sticky users, so I decided to write a blog post that discussed Instagram marketing. Within 30 days of releasing the blog post, I started to rank for Instagram-related keywords, and my overall traffic went up by 120,000 visitors a month. The key to obtaining large volumes of traffic successfully with this model is to cross-reference the keywords you are writing content on with Google Trends. For example, I will only write on topics that are trending up and to the right. If you write on topics that are dying down, you will see that those pages will continually get less and less traffic. You won’t get these kind of results all the time, but if you use this tactic enough, you will see big wins. Just make sure you don’t keyword-stuff when using this tactic as it will hurt your rankings. When Google was in its infancy, you could throw up any kind of content and get thousands of visitors to your site. Eventually, they got smart, and their algorithm was able to figure out how to rank high quality content and not show low quality content. For this reason, you should focus on writing high quality content that is in-depth. Why? Because an average content length for a web page that ranks on page 1 of Google is at least 2,000 words. Moz also did an analysis to see if word count has a correlation with backlinks as the more backlinks a page has, the higher it typically ranks. As you can see, there is a direct correlation between word count and the number of backlinks. For this reason, you should consider writing more in-depth articles as it will help increase your search engine rankings. Plus, through Google’s In-depth Articles, you can increase your traffic by writing content that is more thorough. We were able to increase our search engine traffic by 13.15% by leveraging the in-depth articles update. What we found is the increase came to pages that had an average word count of 2,183 words. 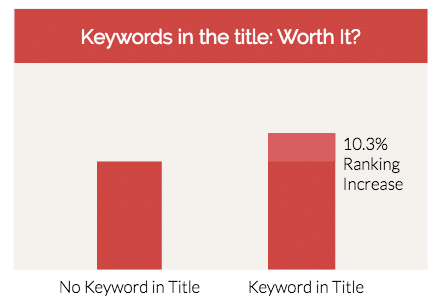 Blog posts that were under 1,000 words didn’t see an increase in search traffic. Once you are able to write detailed articles that are high in quality, you can then shift your focus to increasing the quantity. Till then, you should focus on writing more detailed content. Is there is a reason why you didn’t convert into a paying customer? What concerns do you have about the product or service? By asking these and other questions, you can find all of the objections that are causing people to not convert. You can even ask your support team or dig through your support emails to figure out other objections your visitors have. Once you have a list of concerns or questions your visitors have, consider creating an FAQ section that answers them. Doing this will help you start ranking for long-tail terms related to your product. This won’t drive you a ton of traffic, but the traffic you do get will be highly relevant search traffic that converts. We use this exact strategy with our Crazy Egg support section, and we are able to drive an extra 4,108 visitors a month to our site. Roughly 82 of those visitors tend to convert into paying customers. The more links you have, the higher your rankings will be. By having your content marketing team target industry-related blogs, you will build relevant links that drive relevant traffic. I’ve guest-posted 61 times on 49 different marketing blogs. In those guest posts, I’ve linked back to internal pages of Quick Sprout when relevant, and I never used rich anchor text. By doing this, I not only increased my referral traffic, but I also saw an uptick in search traffic. 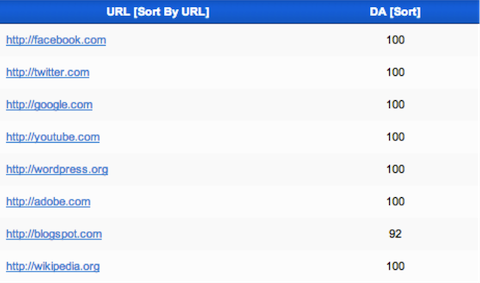 Within 3 months of doing this, I saw an increase in search traffic by 22.7% for the articles I linked to. Guest-post on relevant sites only. Don’t try to manipulate search engines by linking to your site. Only link to your site when it benefits the readers. Avoid using rich anchor text. In addition to following those rules, you should first watch this video as it will teach you how to guest-post while staying within Google’s guidelines. Once you watch that video, you shouldwatch this video on pitching bloggers as it will help you get guest posts. If you only focus your SEO efforts on driving traffic from keywords that convert, you’ll find yourself capping out on how much traffic you can get. By focusing on helping your ideal customers with their problems through your blog, you’ll get traffic from random search terms that are related to your industry, but don’t convert right away. For example, at KISSmetrics, our ideal customer is an Internet marketer who has a business that does 10 million dollars or more in yearly revenue. Although we are only selling an analytics product, our customers are also spending their time and money on other marketing initiatives like SEO and social media marketing. So, on the KISSmetrics blog, we educate our visitors on topics like “how to steal your competitor’s social media followers”. By doing this, we get additional 349,335 visitors from Google to our blog each month. A lot of those visitors are marketers, and they typically don’t convert right away. Usually, after the 3rd visit, these blog readers decide to try out our KISSmetrics product because they like our content. This has allowed our blog to drive anywhere from 49% to 72% of our leads in any given month. We aren’t the only ones experiencing this either. Moz also receives a large portion of its traffic from its blog content, which causes indirect conversions to its product. Adding content to your site isn’t enough. You have to cross-link your content. When I did consulting for blogs like TechCrunch, Mashable, and Gawker Media, I was able to increase their search traffic because I fixed their on-page issues. The biggest one tended to be that pages weren’t cross-linked. When you have thousands of pages, and you eventually will, it’s impossible to create a site architecture that ensures all of your pages are indexed. This is why you have to cross-link your pages. That’s exactly what we did for Mashable: we cross-linked its internal pages. Still to this date, Mashable uses that tactic, and it is the main reason why it ranks on page 1 of Google for terms like “Twitter”. 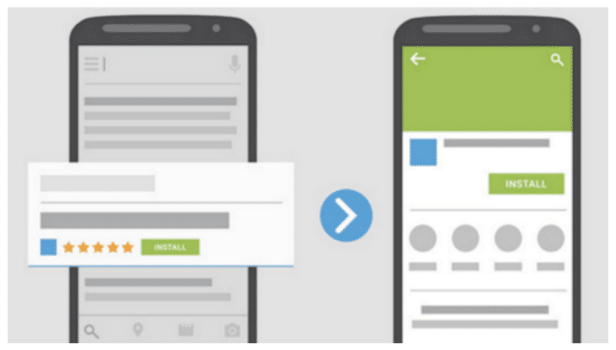 You too can get similar results as long as you cross-link your pages. Just be careful because if you make the links excessively rich in anchor text, it will hurt you. If Mashable internally linked to that Twitter page by only using the anchor text “Twitter” instead of using different texts for the link such as “click here”, it wouldn’t rank as high as it does now. Although a good content marketer has a different skill set than a good SEO does, it doesn’t mean they should be working separately. By combining your content marketing efforts with your SEO efforts, you’ll find that you are able to increase your qualified search traffic at a faster pace. Out of all the techniques mentioned above, my favorite one to leverage is the FAQ section. It’s not hard to do, and it can be used by all businesses. You don’t have to be a programmer either. You can easily create one through this WordPress FAQ plugin. You know that good link-backs are an important part of SEO. You know how important it is to work at building strong backlinks. 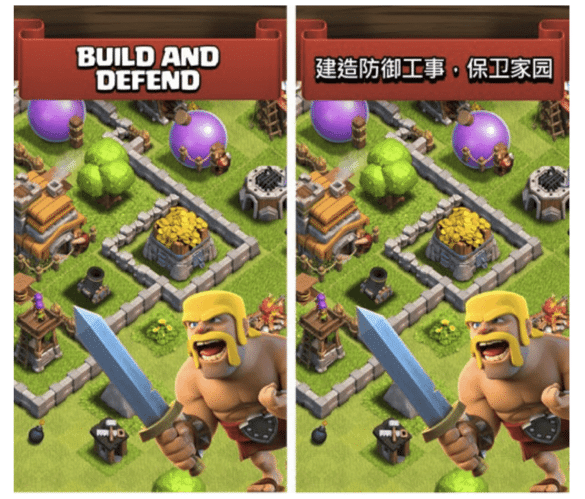 You understand the impact of over-optimized anchor text. You realize the toxic effect of links from spam sites and directory listings. But how important is it, really? And, more to the point, how can you get a link profile that Google loves? I want to explain the components of a “good link profile” and provide suggestions for how you can improve your link profile. In order to stress this point, I want to show you just how important your link profile is. 2013 was a big year in SEO with the rollout of Penguin 2.0, the introduction of Hummingbird, and the announcement, right after the New Year, that social signals are not factored into the search algorithm. Where do all these changes leave us when it comes to the importance of a link profile? We don’t know for sure, but based on careful study, testing, and experience, I think it’s safe to say that a link profile accounts for the vast majority of a site’s ranking according to Google’s algorithm. The penalties that Google gives to sites are largely based on the sites’ link profiles. The issues that most directly impact a site’s positive ranking are integrally connected to the link profile of that site. So, let’s answer the first question. First, let me point out what a good link profile is not. It’s not just backlinks. Any SEO will tell you that backlinks are the most important element of SEO. Real ranking goes nowhere unless there are backlinks. However, you can’t simply pore over the backlinks and neglect the larger picture of what’s going on with your link profile. A link profile is more than just backlinks. Lots of high value, high DA, and high authority linkbacks. Most important factor in a website ranking: Link profile. Most important aspect of a link profile: Quality of backlinks. Most important quality aspect of backlinks: Anchor text. Most important quality of anchor text: Diversity. Google wants to see in a link profile anchors that display diversity in the form of branded anchor texts. For example, if your company is Better World Electronics, then a branded anchor would be “Better World Electronics,” and it would point to your URL. You’re probably familiar with Google’s semantically related keywords. Google may return your website in queries even if those queries do not include your target keyword as long as the content on your website is similar to the keywords that are used in the query. Your website may have a blog article on the subject of “Wearable Heart Rate Monitors Used for Olympic Marathon Training.” A health website then links to this page, using the anchor “smart fitness tracking device.” This type of semantically relevant anchor text can help enhance a link profile. I mentioned the word “diluted” above, referring to a branded anchor combined with other words or phrases. This is an important feature of healthy link building. In the post-Penguin era of link building, optimized anchor texts are bad. Diluted anchor texts are good. A diluted anchor text is one in which the anchor text has lots of words, some related and some not. For example, let’s use our fictional example of Better World Electronics, who wants to rank for keywords that have to do with fitness tracking devices, wearable electronics, wearable heart rate monitors, etc. That’s a whole sentence worth of anchor text. It doesn’t contain any keywords. And it doesn’t even contain the brand name. But that’s okay. Its dilution makes it a valuable link to have in the link profile as long as all other factors are positive. The more diverse, random, and diluted an inbound link profile is, the better. This component is also known as local/topic-specific popularity. As an algorithmic feature, it was initially developed by Teoma, which is now rebranded and integrated into Ask.com. It is now a standard part of virtually every search engine’s algorithm. Your site’s backlinks should ideally come from sites with a similar topic. They need to be relevant. For example, let’s say you have a site that has to do with online real estate accounting. You receive a backlink from a landscape management company. This link from the landscaping company will not do much to enhance your link profile. If, however, you received a backlink from Realty.com, this would be far more beneficial to your link profile. Realty has to do with real estate, just like your site does. Landscaping — not so much. You want links from sites in your niche. Relevancy goes a bit deeper though. A healthy link profile has links with a relevant content, surrounding the anchor. Example 1: The Realty.com link comes from a page that features an article titled “Best Ways to Stage a Manor House for Real Estate Photography.” The link to your real estate accounting site comes from a paragraph about placing furniture in front of wall vents. This is an irrelevant discussion to your core business and likely to the content on your site. The link, while it will probably help your site, is not the most ideal. Example 2: The Realty.com link comes from a blog article “Top Ten Online Real Estate Accounting Software Services.” The link to your business is in a paragraph that is about yourbusiness specifically. The anchor is a branded anchor that goes to one of your blog articles. Gold. This is a perfect link. When a sending link has a surrounding discussion that is closely related to your niche, this increases the value of that link to your profile. Let me explain what I mean by “vicariously compromised linking site.” It sounds kind of jargony at first. This happens when you get a link from a site that is, on its own account, not a spam site. This very site, however, links to a spam site and has spam links pointing to it. It is vicariously compromised. In the algorithm’s eyes, the link you get from that site is in a “bad neighborhood.” This guilt by association lowers the value of the link. It also has toxic links pointing to it. The distributed value of these toxic links is then transferred to your site. As time goes on, the power of a link tends to decline. If you have a link from a DA 90 site that is seven years old, it may not be delivering the same amount of value as a DA 80 site that just linked yesterday. While not devaluing the site, this link is no longer providing the same level of value that it did when it first occurred. This phenomenon is dubbed as Google’s Freshness Factor. We know that a page’s content can get “stale” over time and fall in rank. 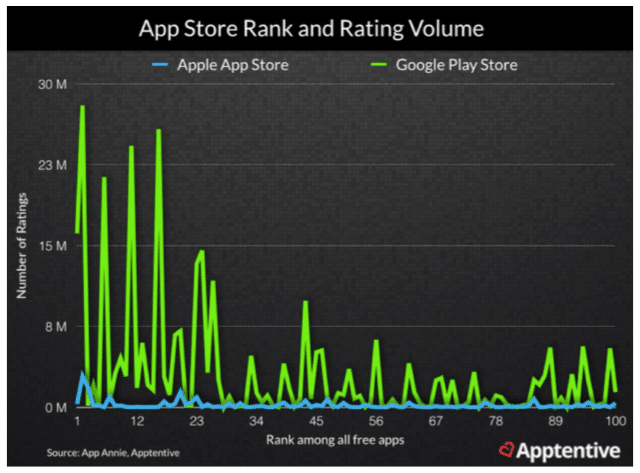 There is a legion of other factors that influence Google’s Freshness Factor. I recommend Cyrus Shephard’s excellent treatment of the subject. The fresher the link, the more value it adds. Strictly speaking, co-citation is not a link. It does, however, register tangentially in the taxonomy of link profiles. Co-citation, often used interchangeably with the term co-occurrence, is the meremention of site A by site B, even without an actual anchor/link between the two. Value is passed from one to the other as a result of the mention. For example, let’s say your company Awesome Real Estate Accounting Software is discussed in the New York Times. There is no link, but there’s your company name — Awesome Real Estate Accounting Software. This is a good thing even if there is no link. It goes a step further though. Sites pass additional co-citation authority when they contain contextual keywords and contextual links to high authority sites. Let’s say that you receive a link from a site, and that site, in turn, is mentioned in co-occurrence by a high-value site. This one-step-removed co-citation may actually improve the value of the link to your site. This is an obvious one. 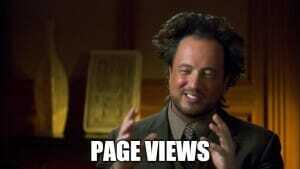 I’m going to add a brief discussion on nofollow though. When your site receives a link from a high authority site, your site gets major value. In order to be truly effectual, the link should be a followed link rather than a link with the tag “nofollow.” A nofollow link still has some value, but it’s not the value that contributes to the link profile. You can find out if a link is “nofollow” by going to a page source code and looking at the link’s href tag. The deeper the link goes into a website’s structure, the more valuable it is in a link profile. It’s a fact of linking: most links your site receives point to your homepage — the first level in the structure of your website. However, an over-saturation of links to a homepage will not be as valuable as when those links are balanced by a number of other links going to deep internal pages on the website. Your deep internal pages need to be strengthened with backlinks. When they receive such backlinks, they enhance the authority of the site as a whole. This is one of the reasons why you need to have strong content marketing. Content lives on pages that are deep within a site’s structure, providing linkable value for those internal pages. A good link profile will display lots of linked pages. It won’t just have links to one or two pages but will display links to the Homepage, the Blog page, the About Us page, the Contact Page, and other subpages. The broader the distribution and diversity of linked pages, the stronger the link profile. Paid links are spam, plain and simple. It’s not really gray. It’s black, especially when those paid links are obvious. The vast majority of the time things are incredibly clear: people are paying money outright for links based on PageRank, flowing the PageRank, trying to get high the rankings. Ninety-nine percent of the time it’s abundantly clear that these are links that are being bought and paid and sold and all that sort of stuff. There are, admittedly, gray areas. Obviously, the algorithm doesn’t know if you buy the link-giver lunch in exchange for the link. Generally speaking, however, when the algorithm can determine the presence of paid links in your inbound link profile, it will come wielding a penalty hammer. The more links a page receives, the better. A healthy link profile, after all, has lots of link-backs. But what about getting lots of links from the same site? Do more links from the same site add value? Google reads one link from a site in much the same way as it reads tons of links from that site. So, if you get a link from hbr.org, that’s awesome. If you get twenty links from www.hbr.org, does that mean you get twenty times the awesomeness? Not quite. What you want is lots of links, yes. But you want lots of links from different sites. Lots of links from the same site won’t hurt your link profile. It just won’t help you. Great link profiles don’t have spammy directory listings. It is fairly common knowledge in the SEO industry that article directory links are dangerous territory. Cutts himself recently made the statement again, saying that you shouldn’t use article directories to build links. He even went so far as to discuss it in a video. Back in the good ol’ days of SEO, it was relatively easy to spawn off a few dozen articles on an article directory site and get a nice SEO kickback. Today, not so much. I recommend that companies whose link profile is bloated with such links go into the article directory itself and remove the links. So, how do you get a good link profile? Now that you understand the features of a great inbound link profile, you should have a better idea of what strategy to employ to acquire links. Here’s my simple advice. Do a darn good job at content marketing. If you have a strong content marketing strategy rather than an explicit link acquisition strategy, then the links will come. They will be stronger, healthier, and more reputable than you could possibly guarantee by engaging in some not-so-sure-if-it’s-gonna-work link building strategy. Content marketing is SEO, and it’s a very powerful and transformative way of doing it. A systematic process of getting a good link profile deserves a series of its own. But the answer that you may be expecting isn’t as much a how-to guide to gaining those links as it is a how-to guide to creating and unleashing a killer content marketing program. Domain Authority (DA) is a website metric developed by Moz. It is one of the most important numbers known to SEOs. The greater your Domain Authority, the more likely you are to have strong traffic and high rank. Is domain authority something that you can change, or is it unalterable and immovable? I am convinced there are practical things you can do to improve this important number. Improving your link profile is a crucial issue that is addressed here already. Let’s deal with the first one — getting rid of bad links. This is pretty straightforward. You request the removal of these links, and if that fails, you disallow them. Done. Attending to all the technical aspects of SEO is absolutely important as a foundation. It may be good to optimize your robots.txt or map out a URL structure, but without these important features, you won’t have effective SEO. First things first. Technical SEO comprises the core of a DA-improvement effort. Now, we get into something that has a more direct impact upon DA — your content. This is a heck of a lot of content, but I’ve seen it pay off in big ways. Content drives my business.It forms the core of what I do. I would not have the level of success that I now enjoy were it not for the hard work of producing lots and lots of content. What factors have you seen that affect your domain authority?